Welcome! Thank you for visiting ADAPT: Advocates for Depression Awareness, Progress and Tolerance. My hope is to promote education, tolerance, progress, awareness and understand towards depression, through this blog. 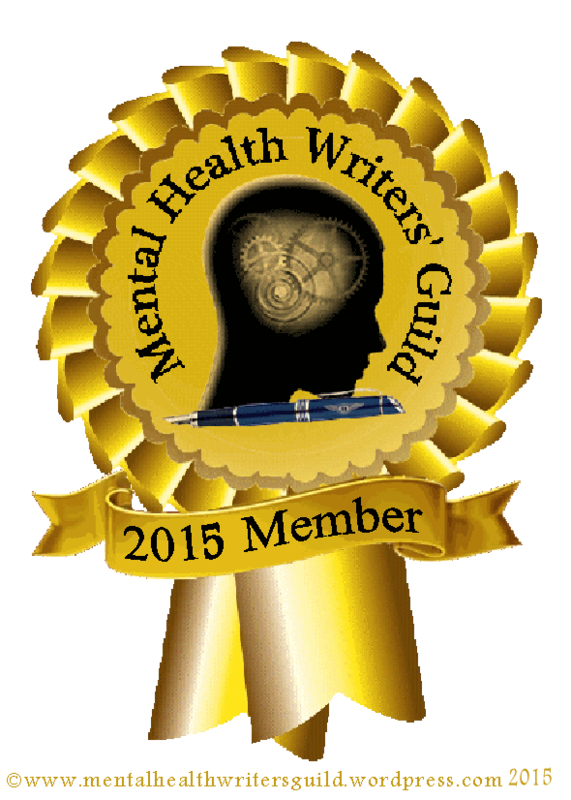 Please visit the Mission Statement page for more information about me, my depression and this blog. Also visit Research and Talia’s Story and Observations pages for quick links to the various blog posts. Thank you. A Realist, An Idealist, or a Pessimist? I can be very negative because of my depression. It makes me think in worst-case scenarios and negative outcomes. Many people would call me a pessimist because of this. They would say I view the world with a ‘glass half-empty’ attitude. Many people who don’t know me very well would probably say that I have absolutely no optimism. That I can’t view the world as anything but negative, and while that might seem true, I know that when I’m not consumed by my depression, I can be a very optimistic person. I have the capability to view the world as ‘glass half-full’ and to be excited about events. Unfortunately, my depression consumes that person, leaving behind a pessimist. In all actuality, when not consumed by depression, I would probably fall more under the definition of an idealist. An idealist is a person who represents things as they might or should be rather than as they are. An idealist is often a visionary or impractical person. I dream of a world where there is no cruelty or injustice. A world where everything is fair. So then, am I a realist, idealist or pessimist? I think the answer is that I can be all three. I can also be an optimist depending on the situation. It depends on my mindset, my beliefs, my moods and my behaviors. In an earlier post, ‘DBT: The Skills’, DEAR MAN is used in objectiveness effectiveness as part of interpersonal effectiveness. Interpersonal effectiveness is described as the ability to increase the changes that will help you reach the outcome you are looking for in a specific situation, while not hurting the relationship you have with others or losing self-respect. DEAR MAN is useful in situations in which you are asking for what you want or refusing a request from someone else. It is also useful for those with depression or mental illness because it is an effective way to communicate your emotions, your wishes and desires and allow you to negotiate a possibly tenuous situation. Describe the current situation. Tell the person exactly what you are reacting to and stick to the facts. By doing this, you are making clear your perception of the situation but you aren’t coloring it with your feelings, but sticking only to the facts. Express your feelings and opinions about the situation. Assume that others cannot read your mind and know how you feel. Don’t expect others to know how hard it is for you to ask directly for what you want or to refuse. Use ‘I want’ or ‘I don’t want’ statements instead of ‘I need’, or ‘you should’. Assert yourself. Ask for what you want or say no clearly. Assume that others will not figure out what you want unless you ask. Don’t assume that others can read minds. And don’t expect others to know how hard it is for you to ask directly for what you want. Reinforce the person ahead of time by explaining the consequences or the reward. Tell the person the positive effects of getting what you want or need. Also tell the person, if necessary, the negative effects of getting what you want or need. Help the person feel good ahead of time for doing or accepting what you want. Mindfully keep your focus on your objectives. Maintain your position and don’t be distracted. Keep asking, or keep saying no, if necessary, express your opinion over and over, rewording but staying on point. Ignore the person if they attack, threaten, or try to change the subject and ignore any attempt to divert you from your goal. Don’t respond to attacks and just keep making your point! Appear confident by using a confident tone and physical manner; make good eye contact. Appear effective and confident. Don’t stammer, whisper, stare at the floor, retreat or say things like ‘I’m not sure’ etc. Negotiate by being willing to give to get. Maintain your point, but offer and ask for alternative solutions to the problem and ask what the other person is willing to do to fix the problem. Stick to simple things and make your goals realistic. Focus on what will work. What am I willing to ‘settle for’ or ‘give up’ in order to gain what I want in the situation? Using ‘I feel’ and ‘I want’ can be difficult, but by phrasing your requests in this manner, you are refraining from accusations which can make people feel attacked. I have also attached a form that can help you use DEAR MAN in real life situations. Assert yourself by asking for what you want or saying no clearly. Assume that others cannot read your mind. Don’t expect others to know how hard it is for you to ask directly for what you want. Mindfully keep your focus on your objectives. Maintain your position. Don’t be distracted. Appear Confidant Use a confidant voice tone and physical manner; make good eye contact. No stammering, whispering, staring at the floor, retreating, saying “I’m not sure,” etc. I would first like to begin by giving a trigger warning. I will be talking about mental health and depression and I realize that this may be triggering for some people. If that is the case, I would advise you to leave for the duration of my speech. Also, please note that the pastors and I will be available to talk about this subject after church (event). Before I get started, I would like for all of you to imagine your worst day ever. Your alarm didn’t go off, so you barely have time to get ready. You struggle to get the kids ready for school. Your car won’t start and you’re late to work. At work, or if you’re in school maybe someone starts digging at you about a project, they’re making fun of you or yelling at you. You start thinking about all of the things you have to do, at work, at home and everything in-between. Do you remember how that felt? (Ask for opinions from audience. )You felt anger, sad, frustrated, lost, lonely, down, stressed, overwhelmed. That is essentially how someone suffering from depression feels on a normal day. How would I know? My name is Talia Malon and I know that I seem like your normal, average 20-something year old. I look healthy, however I am clinically diagnosed with depression and anxiety. I also have avoidant personality disorder tendencies. I have been in therapy for over 4 years and I was only recently discharged from an outpatient treatment program for mental health. I’m here to talk to you about depression because May is Mental Health Awareness month (mental awareness is important) and I want you to understand mental illnesses. I want you to understand that I wake up fighting a battle everyday whether I am at work, at home or out with friends. Each day may be a battle where I am under siege for every waking hour but I am determined to win this war, because there is only one other alternative. Depression is defined by the Mayo Clinic as, “a mood disorder that causes a persistent feeling of sadness and loss of interest…. It affects how you feel, think and believe and can lead to a variety of emotional and physical problems.” While this definition works for the health institutions around the world, I find that there is an easier and more forthright definition. “Mental illnesses are diseases. Depression is a disease.” It is a disease of the mind and it’s not easy to physically see unlike cancer but nonetheless, it is a disease. “This disease affects approximately one in four adults” (NAMI). You can die from it. People have died from depression. The most recently notable, would be Robin Williams. The coroner’s report may say suicide, but honestly he died from depression. “Suicide is the 10th leading cause of death in the US and more than 90% of those who die by suicide had a mental disorder” (NAMI). Coming here to speak to you today is the first small step towards my ultimate goal. These are the first steps as I try to start a non-profit organization for education, awareness and tolerance on mental illnesses. 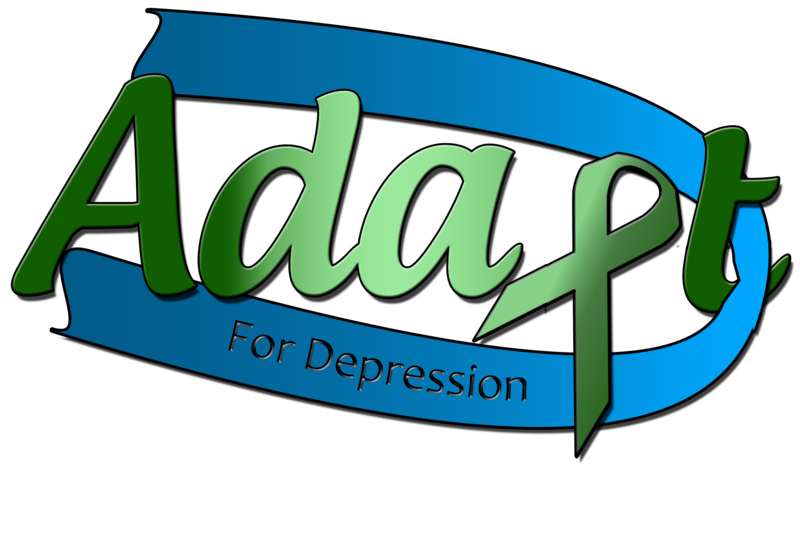 I have named this foundation ADAPT; Advocates for Depression Awareness, Progress and Tolerance. I felt that this name was fitting because when you make the decision to be the supporter of somebody suffering from a mental illness, you have to adapt. Depressives also have to adapt as they try to cope with their illness. Both sides have to adapt their viewpoint and adapt how they interact with others. Educating yourself and becoming an active supporter of someone with a mental illness may save a life. In closing, I would also like to encourage you to take care of your mental health. It is just as important as your physical health and it can be anything from taking a break from life and going for a walk outside to talking out a troubling situation with a friend to getting therapy for even a couple of sessions. I encourage those with depression to keep holding on. You are not alone and this may be the hardest fight of your life, but it is also one of the most important. We are here for you. Please visit my blog for more information on depression, how you can help and how you can find help. Thank you. While in therapy, we talked about the word ‘should’. Because of this discussion, it is my honest belief that ‘should’ is one of the worst words in the English language. The word should is defined as used to indicate duty, propriety, or expediency. I think it’s easier to say that the word should most often is used to place guilt or blame. We say someone should do something because that is our opinion however our opinion, while it might have some weight based on our relationship with that person, can’t be the deciding factor for someone to do something. Instead, should is used to indicate blame or lay guilt if the person doesn’t do what we say they ‘should’. A good replacement for the word should, is like or want. “I would like you to…” rather than “You should…” By replacing should with like you are stating your opinion rather than placing blame or guilt. I’m not saying that the word be removed from our language entirely because there are some instances when it is appropriate to use. However, when it is used to place guilt or blame, it can hurt or harm another person. So lately, I have been attempting to remove the word ‘should’ from my vocabulary. It’s proven harder than I thought. In just writing this post, I’ve had to rethink how to word sentences because I would normally use the word ‘should’. But this exercise has taught me that is important to think about what you say before you say it. You never know how what you say may affect another person. Today’s world is permeated with superheroes. Every year, there’s a new movie about Iron Man, Superman, Captain America, etc. And while I enjoy these action movies as much as the next person, lately I’ve been considering; what makes a hero? You have the general trait of saving the world. Most of the superheroes are people who find themselves with powers beyond those of a normal human and they use these powers for the good of humankind. Of course that is all fantasies and comic book. Superheroes can’t exist in real life. Can they? I choose to believe that there is a superhero inside of each of us. Whether it’s helping a stranger or volunteering. It may be the smallest act but eventually all of those acts add up. Superheroes aren’t perfect. They make their share of mistakes and often those mistakes are bigger because of who they are. We make mistakes too, but we’re also most often given the chance to fix those mistakes. Heroes are everywhere in everyday life. They can be the person walking down the street or the coworker down the hall. Mental illness is an invisible disease. The smallest act of kindness can make the biggest difference to anyone who is struggling or having a bad day. So who do you want to be? Your average, normal person or a superhero? Because they come in every shape and size and you can be a hero. We all have a desire to control our lives. We feel helpless when we feel like our lives are not in control, and the problem comes when we can’t let go of that control. The only thing we can control is our behaviors and actions. We can’t control other people, certain situations and their behaviors. Anxiety comes from the worry that we have because of the uncertainty of our situations. By letting go of our need for control, we can find some peace within our lives. We have a number of choices when it comes to letting go of control. We can accept people as they are and let go of our need to ‘fix’ them. We can let go of the ‘victim’ role within relationships. Be strong enough to get your emotional needs met. Let go of your ‘shoulds’ for people and yourself. Should implies guilt and shame. Read more about Should here. See other people as having wounds, not faults. Realize that the only ‘failed’ relationship is one that you didn’t learn from. Often failed relationships are helpful life lessons. Choose to see the love and the good in other people and yourself. We also need to let go of a thirst for approval, super competitive-comparative mode (comparing yourself to others) and relying too much on other people. You can understand more about yourself and where your need for control comes into play, by asking yourself two questions. What are three unhealthy habits in your life? And what are you willing to do to break these habits? How much control do I have? What is outside my control? If I can’t change the situation, can I change the way I think or do about it? What can I do that is within my control?